A clinically-proven trio of acne-fighting ingredients, including patented Retinaldehyde® with proven anti-aging benefits, Glycolic Acid and the new patented Efectiose®, formulated with soothing thermal spring water to help eliminate breakouts, acne-related redness and irritation and residual scarring. • Ideal for oily, blemish-prone skin. • Approved for adolescent to adult acne. 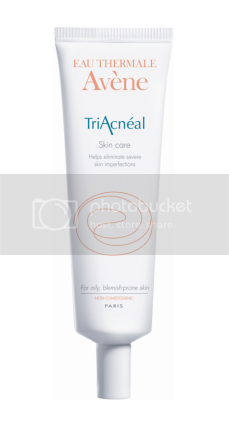 • Use a daily SPF 25 or higher when using TriAcnéal. To learn more about TriAcnéal and all our Avène products we carry in-stock, please continue reading here.